The first day of the annual SoxFest celebration turned out to be quite a day for the Sox skipper. A group of fans broke out into a rendition of “Happy Birthday” in honor of Ozzie’s 47th (celebrated on Thursday), a brand new website, ozzieguillen.com, was launched and, most significantly, the Sox picked up Guillen’s option for 2012. The extension wasn’t a sure thing as we all know. After a hellish (Ozzie’s sentiments, not mine) summer where he bickered with GM Kenny Williams, dealt with his son Oney‘s annoying tweeting (my view, not Ozzie’s) and was on the verge of being traded to the Marlins, Guillen’s future was certainly in doubt. But when all was said and done, Williams had his back. “I’ve never doubted the man’s managerial ability and the ability to pull people together,” Williams said at SoxFest, according to Mark Gonzales of the Tribune. “Listen, we all can get off track a little bit, and we (did) last year. All I want us to do is to get back on track and focus on the baseball team and the fans. They’re hand in hand. Everything else, I want out of the equation. * Sale’s immediate future, of course, will depend largely on Jake Peavy‘s progress. Reports range from he’ll be ready on Opening Day to him stepping into the rotation by May 1. * With third base (Brent Morel, Mark Teahen, Omar Vizquel) and first base (Paul Konerko, Adam Dunn) spoken for, Williams indicated that Dayan Viciedo is spending time learning how to play outfield to give him a shot at the Opening Day roster. The GM says Viciedo has done well so far. Matt Thornton, decked out in a Brian Urlacher jersey at yesterday’s SoxFest, shows where his football loyalty lies. I know that the White Sox have been eliminated. I know that the recent eight-game losing streak was too much to bear. I know that we’re still in danger of finishing in third place. All that said, today’s 4-3 come-from-behind victory over the A’s, giving the Sox their first victory since September 12, put a smile on my face. I needed it to cure my baseball blues. (above, bottom)–came to the rescue today with key ninth-inning pinch hits. Manny Ramirez, bless his heart, was nowhere to be found. So it’s on Anaheim. My hope is we can close out the season against the Angels, Red Sox and Indians with three series victories. That’s not too much to ask, is it? * I wrote it before we acquired Manny Ramirez, I wrote it when we got Manny and I’ll say it again now after Manny has had no impact on the Sox pennant chances: regardless of his performance in a Sox uniform, it was the right thing for management to do. I do find it almost laughable, though, that it took a green uniform (because of the halfway to St. Patrick’s Day promotion) and nearly three weeks for him to record his first home run and RBI. To be fair, he is hitting .295 with a .456 on base percentage since arriving in Chicago. –Will the Sox sign free agents Paul Konerko and A.J. Pierzynski? –Will the South Siders bring back Omar Vizquel, after his amazing season? –Will the intense, but brittle, Carlos Quentin be back? –Will Tyler Flowers and Jordan Danks, who both seemed to take a step back this season, be viable candidates for the major league roster? –What will become of Freddy Garcia? –Will Chris Sale be in the starting rotation? –Will Jake Peavy be ready for spring training? –I can’t see Manny, Mark Kotsay or Andruw Jones returning, so who becomes the DH? –All indications are that Bobby Jenks is a goner, so who will close? J.J. Putz? –Despite the fact he has two more years to go on his three-year deal, will the disappointing Mark Teahen still be in a Sox uniform even as a utilityman? –What are Brent Morel‘s chances of winning the starting third base job? Maybe a platoon with Vizquel? –I know I’m burying the lead, but will both Ozzie and Kenny Williams be back? The offseason certainly won’t be boring. Being a glass half-full guy, I don’t believe I’ve ever been as critical of a White Sox player in this blog as I’m going to be today. As they say, there’s a first time for everything. 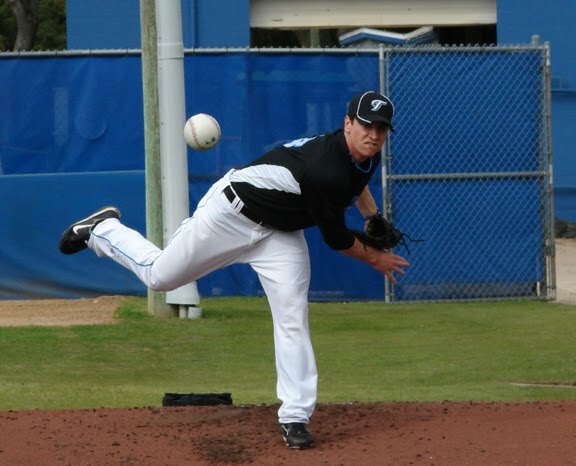 Mark Teahen contributes very little offensively and is a horror show at third base. Contrary to what others might believe, it is no coincidence that the Sox surge began when Teahen hit the DL in June and Omar Vizquel took over at third. Unfortunately for us, all those years of losing in Kansas City seems to have shaped his baseball persona. runs–three unearned–paving the way for the 5-1 Sox loss, their second in as many nights in Detroit after the seven-game winning streak. A major league team can’t afford to play a third baseman in a pennant race who can’t defend his position. Kenny Williams was fooled on this one when he dealt Chris Getz and Josh Fields for Teahen and then signed him to a three-year contract. Getz and Fields are no huge losses, but Teahen has been a disaster and, worse yet, it might be difficult to get rid of his contract after this year. But he needs to go. I want 2010 to be the last year I see him in this uniform. 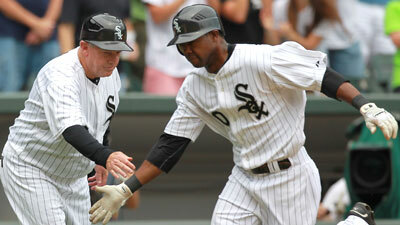 The White Sox did it again this afternoon in a 5-4 victory over the Tigers in 10 innings. Coming from behind on three separate occasions, including tying the score 4-4 in the eighth and scoring the winning run in the 10th, the South Siders won their seventh straight without a loss on this road trip. Chris Sale, in relief of Edwin Jackson with one out in the eighth, pitched 2 2/3 perfect innings to record his first major league win. A.J. Pierzynski, who has seemingly found his groove, collected two hits and three RBIs. As for Manny Ramirez, he pounded out three singles, including what represented the winning run. Alejandro De Aza, who came in to pinch-run for Manny, actually scored the 10th inning tally on Pierzynski’s single to left, which put The Good Guys over the top for good. The Sox showed a great deal of versatility in the win. Pulling out all stops, a group of non-starters–De Aza, Brent Lillibridge, Alex Rios and Alexei Ramirez–all saw action and five players found themselves in multiple roles–Omar Vizquel (SS-3B), De Aza (PR-DH), Mark Teahen (3B-1B), Lillibridge (PR-CF), Rios (PH-CF), A. Ramirez (PH-SS). Same Old Story: The Sox win…and so do the Twins. What else is new? Despite the winning streak, the Pale Hose still remain 3 1/2 games behind Minnesota.